Looking for a great way to spend some time having fun with the family this winter? Did you know you can ski for free in PA? 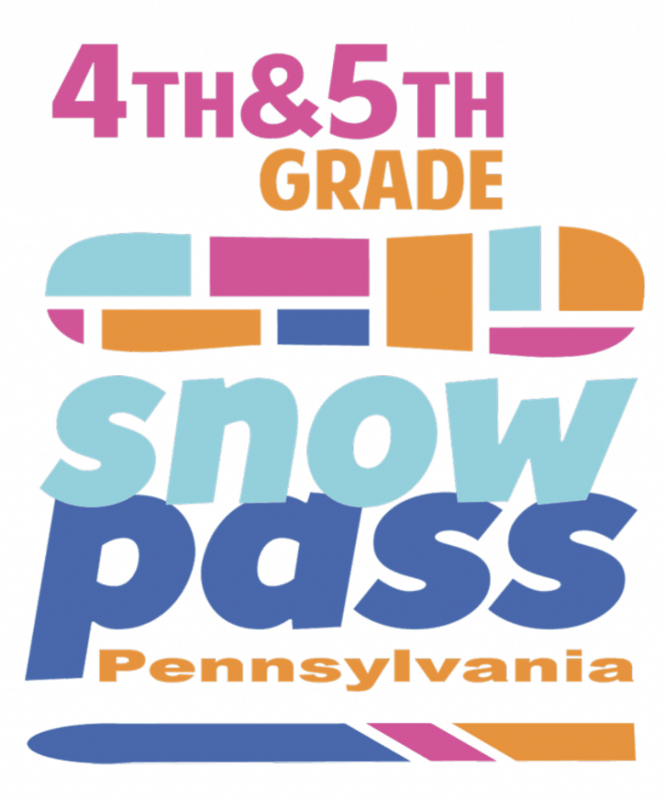 The Pennsylvania Snow Pass program is designed to get 4th and 5th graders on the slopes. 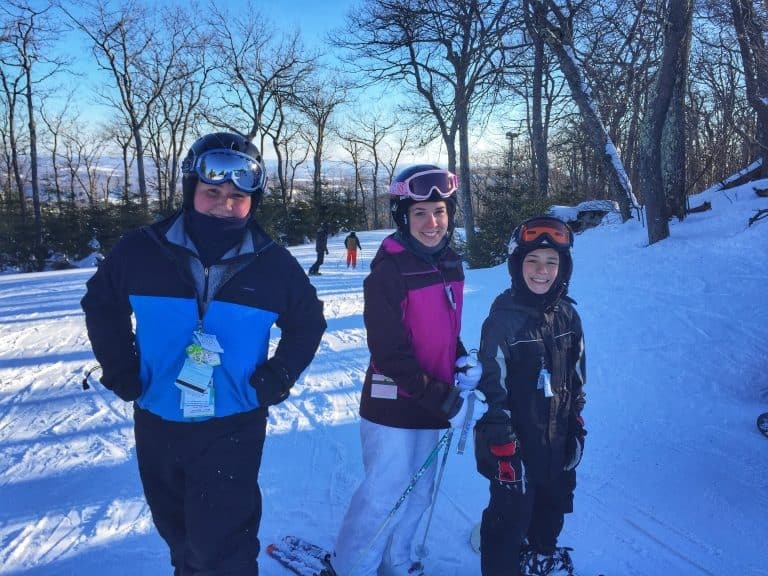 There are many family-friendly ski areas and resorts in Pennsylvania. Learning to ski or snowboard, or brushing up on your skills is a great way to log some family time while everyone has fun. No need to go far – there are 21 locations to ski for free in Pennsylvania to choose from to get going! All 21 PSAA resorts have Learn to Ski Packages, making it easy for everyone in the family to learn to ski or snowboard. Families enjoy child pricing for age 12 and under with accompanying paying adult. Pennsylvania ski areas offer a variety of terrain, varying from beginner to advanced to accommodate skiers of all levels. Many of the ski areas offer year-round activities including snow tubing, terrain courses, water parks, zip lines, and more! Some ski areas are full service, year-round resorts offering a variety of vacation options perfect for families, while others just operate during ski season. See what Travel Expert Sharon Rigney had to say about destinations such as Camelback Mountain, Shawnee Mountain, Jack Frost/Big Boulder, Blue Mountain, Elk Mountain, Montage Mountain, and Seven Springs Mountain Resort. For the non-skiing tots, many of the ski areas such as Bear Creek Mountain Resort and Blue Mountain Ski Area offer daycare services. All 21 PSAA resorts participate in the 4th & 5th Grade Pennsylvania Snow Pass Program where your child can learn to ski/board for free! 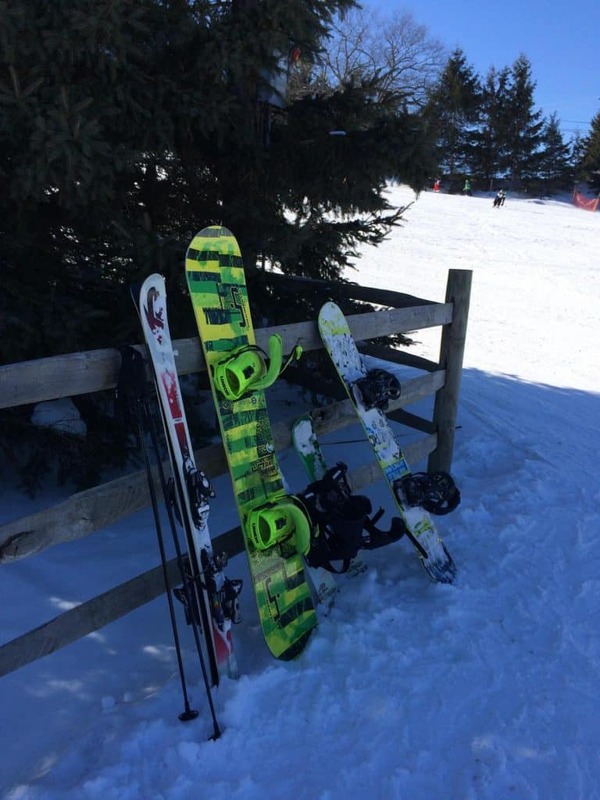 The 21 PSAA resorts feature the 4th & 5th Grade Pennsylvania Snow Pass Program, offering the opportunity for students to learn a new snow sport for FREE. This is a great age to get out on the mountain when kids have the interest and ability to learn new skills. The Snow Pass includes a booklet containing a free Learn to Ski/Board Package and three coupons for complimentary child day lift tickets. 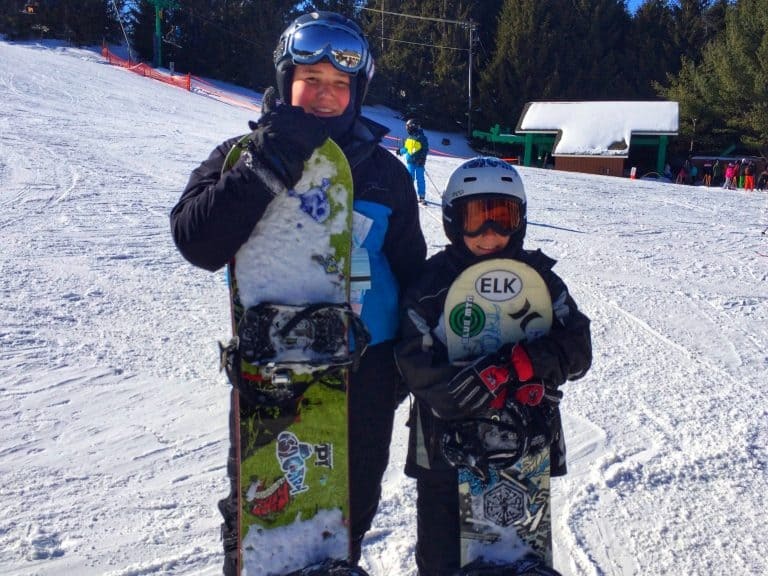 Kids can see if they’re interested in skiing or snowboarding and you don’t have to break the bank in the process! Students must be accompanied by a paying adult. If you don’t know how to ski or snowboard, this is a great time to consider discovering a new sport. All of the ski areas offer beginner packages, making it easy for the whole family to learn. To learn all about the Snow Pass program, including restrictions and blackout dates, please visit the PSAA website. My family participated in this program when we had kids in 4th and 5th grades and we were big fans. There are a great variety of slopes included in the pass, so you don’t get bored. You can pick a few resorts that are near you, or make a little vacation out of it and spend some time at a slope you may have wanted to visit. Sign up for the pass each year that you have an eligible student, and you’re well on your way to a sport they can enjoy for many years to come. If you don’t have a 4thor 5th grader, you can still take advantage of discounts. Ski PA is offering a $5 discount on beginner lessons mid-week/non-holiday at their 19 member resorts. At Bear Creek Mountain Resort, every Wednesday during the month of January, you can purchase (only at Guest Services at the resort) a Learn to Ski or Ride package for only $49! It is applicable for guests ages eight and above. Many of the other mountains offer similar deals (like Bring a Friend discounts, reduced lift ticket days, free childcare deals with a package purchase) and special throughout the season, so check individual websites for specifics. Is this the year your family learns to ski or snowboard together?